Tantalise your taste buds as you tuck into your dinner at the 2 AA Rosette award winning restaurant that has been crafted using the extensive local produce. 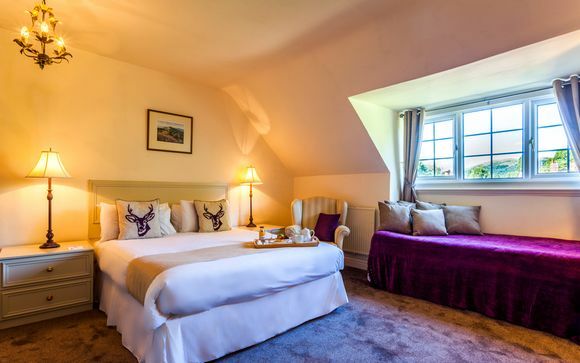 Delve into a mythically beautiful corner of the English countryside - your hotel is nestled within a recognised area of outstanding natural beauty! Being located on the Herefordshire and Worcestershire border, Colwall Park offers the ideal location to explore. This area of outstanding natural beauty draws people from all over the country to marvel at its simply stunning panoramas. If you're looking to explore the area during your stay, take a walk around some of the beautiful towns and cities on the hotel's doorstep. 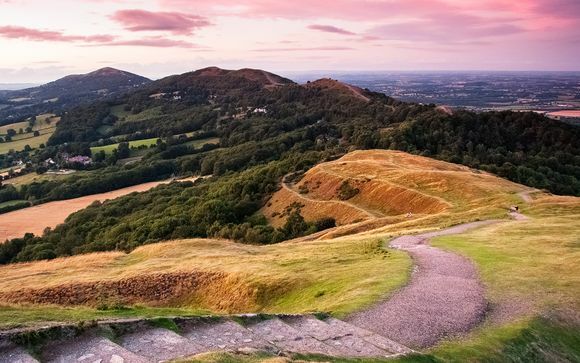 Filled with history and character, Worcestershire and Gloucestershire provide everything you need for a memorable trip. The city of Hereford has a friendly market town atmosphere, historic architecture and some lovely independent shops, as well as the 'Old Market' area, built on the site of the former livestock market. This picturesque cathedral city is a pleasing collection of rickety timber houses and cobbled streets that exist in the shadow of the grand Worcester Cathedral. Part of the beauty of Worcester lies in aimlessly roaming the streets and alleys, making chance findings from one turn to the next. That said there are a number of must-see sights whose discovery should not be left to chance so take a stroll down Friar Street where stylish boutiques and high street giants are housed amongst traditional Tudor houses and a medieval townhouse. This is idyllic England at its finest. This wonderfully picturesque region is home to emerald hills, quintessential villages, splendidly bustling market towns & grand country houses. With more than 3,000 miles of rolling hills, ancient woodlands & wildflower meadows for you you roam through and be inspired by. 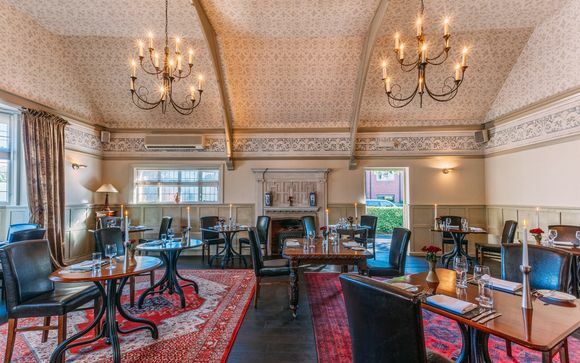 Whether it is a romantic getaway or a cycling break, within these stylish surroundings, Colwall Park ensures you experience everything from award-winning cuisine with mouth-wateringly good food, to a cosy bar with log fires. With footpaths from the hotel gardens leading directly to the hills, Colwall Park offers the ideal relaxing and tranquil retreat in which to enjoy these beautiful natural surroundings. Each room is equipped with all of the essentials and added luxury touches such as homemade biscuits and The White Company toiletries. These spacious rooms feature a flatscreen TV with freeview, tea & coffee making facilities & peaceful views. This offer is based on a bed and breakfast stay. Our members can choose to add dinner to this offer which will be £30 per person to be put towards the hotel's a la carte menu. This hotel is a firm believer in supporting local produce and sustainability. 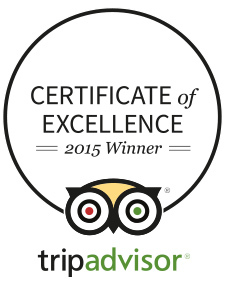 Their talented chefs cook up a storm in the kitchen using only the freshest of ingredients in this award winning restaurant that offers both fine dining and a la carte options. This restaurant is all about going the extra mile: they use an eighth generation local farmer who provides their meat, and they also grow their own herbs. Other fresh seasonal produce is sourced from the nearby Vale of Evesham. After a day exploring the hotel's spectacular surroundings you can return to the hotel's cosy bar & indulge in a refreshing drink in front of the hotel's roaring fire!